This statistic shows the planned weekend trip dates of United States travelers from 2013 to 2016. 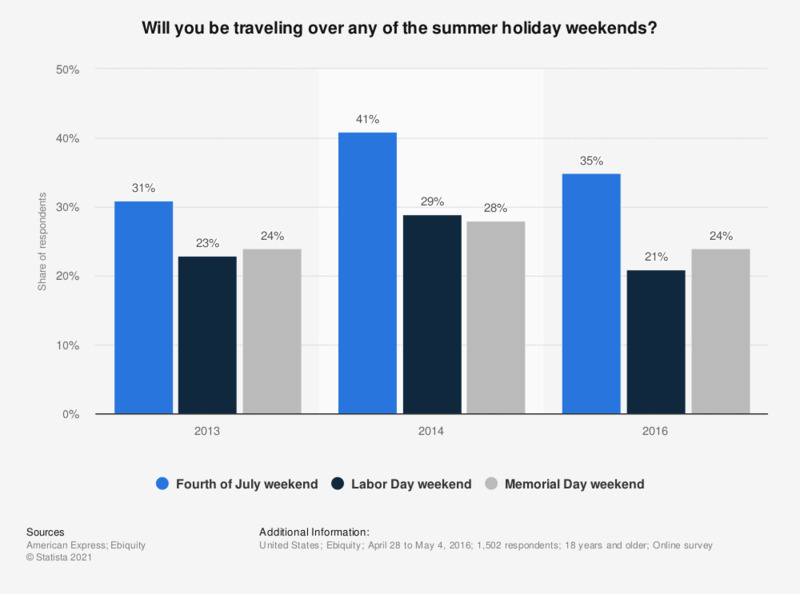 During the 2014 survey, 29 percent of respondents said they were planning to vacation over Labor Day weekend. Data for 2015 was not available in the 2015 report.